Nationwide Pet Insurance (formerly VPI), founded in 2014, is the country’s largest pet insurer. Nationwide is the only pet insurance company in the U.S. that offers coverage for exotic pets, such as birds, iguanas, rodents, tortoises and pot belly pigs. Policies are underwritten by Nationwide Casualty Co. and the company is A+ rated by A.M. Best. Nationwide is a Fortune 100 company with incredible financial stability and only recently ventured into the pet insurance marketplace. What makes Nationwide stand out is that they offer expanded coverage beyond just cats and dogs, as well as wellness plans that cover routines like checkups and vaccinations. If you want truly unlimited coverage, however, it is only offered if you choose the top tier, most expensive plan. Nationwide has a 97% customer satisfaction rating with overall positive reviews. They stand apart because of their variety of coverage for all types of pets including a wellness program for birds and exotic pets! Nationwide plans are structured differently than most providers who either don’t offer wellness at all, or offer an add-on for limited wellness coverage. With Nationwide, you either get the full Wellness benefits via their Whole Pet plan or you only get wellness via their Wellness plans. Wellness is not an add-on with Nationwide (making them pricier). Nationwide’s Whole Pet with Wellness plan is one of the most comprehensive pet insurance policies in the market. In addition to the normal accident and illness coverage, it also provides for yearly physical exams, vaccinations, and flea/heartworm prevention. While this is beneficial, it is a little more expensive than most due to its comprehensive coverage. The Whole Pet with wellness plan includes hip dysplasia. With this plan, each potential illness/accident has a listed maximum payout. So you receive set benefits up to the maximum for each potential incident. This coverage also comes with a $250 deductible and no annual maximum. Nationwide, as mentioned above, is one of the only pet insurance companies that offers policies for most birds and a wide range of exotic pets, including the Whole Pet with Wellness coverage! This exotic pet insurance plan covers accidents and illnesses as well as examinations, lab fees, prescriptions, X-rays, hospitalization and more. We cover most birds and a wide range of exotic pets, including: birds, mice, hamsters, gerbils, lizards, snakes, tortoise, turtles and more! With Nationwide, your coverage remains the same year after year. Your plan will never be dropped if your pet gets sick or hurt. Although Nationwide’s pet insurance plans for whole pet and major medical are available in all 50 states, the wellness insurance plan may not be offered in some regions of the country. Both Nationwide plans — Whole Pet with 90% reimbursement, and all other plans with a benefit schedule — offer unlimited annual maximums. If you want unlimited annual benefits, you will have to purchase the Whole Pet plan. Its lower tier plans don’t offer unlimited benefits, but rather, they limit the dollar amount that can be spent on conditions and services based on a benefit schedule. Healthy Paws has an unlimited annual benefit for all plans. The lower-tiered plans have limits on a condition and service basis. Therefore, the truly unlimited plans is the top-tiered Whole Pet with Wellness. Nationwide offers just one annual deductible of $250. That makes it simple, but it can also make it more expensive. Without any additional options, you don’t have the opportunity to lower your premium by choosing a higher deductible as you would with other pet insurance providers. Most of our other providers that we reviewed, like Embrace, offer you a range of deductibles. Deductibles affect value. Per-incident deductibles apply to every new claim you file before you’ll be covered. Annual deductibles need to be met just once each 12-month policy term for full coverage to kick in. Nationwide plans have either an annual deductible or no deductible. With its top tier plan, you get 90% reimbursement of the actual vet bill. As mentioned above, you will pay a higher premium because there is no option for choosing a lower reimbursement. Its lower tier plans reimburse based on a benefits schedule, which includes individual payout caps for each condition or service. This could be problematic if your pet is susceptible to certain conditions that have low coverage limits. Benefit schedules and less flexibility in customizing the reimbursement percentage in the top tier plan makes Nationwide’s offerings more limiting. With all of their plans, just pay your veterinarian at the time of treatment, and then send them the invoice. They will then send you a reimbursement check less any applicable deductible. If you get the Whole Pet with Wellness plan you get one of the best pet insurance plans on the market, but you will pay for the privilege. Their monthly premiums are a little on the high end as opposed to our other companies. 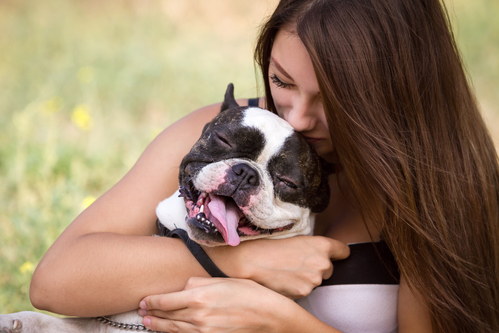 Nationwide’s claims procedure is standard for the pet insurance industry. Like other companies, you must first pay the vet directly, download Nationwide’s claim form, and submit the form with all paid invoices. You can submit via mail, fax or email. Nationwide estimates that it will take up to 30 days from receiving all of the necessary information to process your claim, which is slower than many competitors. If they have all the information right away, the process is faster. You can track claims in real-time online and submit them through your smartphone. Nationwide will enroll pets starting at 6 weeks old. Unlike the other companies we reviewed, Nationwide has a relatively lower age restriction with older pets at 10 years. However, if the pet is enrolled before age 10, and the policy never lapses, they will be covered for the duration of their lives. Waiting periods are industry standard at 14 days, although Wellness starts 24 hours after approval. You’re free to visit any licensed veterinarian, anywhere in the world—even specialists and emergency providers. Their accident and Illness waiting period is 14 days. Nationwide’s “free look” period is only 10 days which is shorter than most. The free-look period means that if you change your mind after enrolling, you can get a full refund. This helps if you are not sure if your dog or cat’s illness is a pre-existing condition and have time to confirm. Similar to other pet insurance providers, Nationwide requires that your insured dog or cat be seen by your veterinarian annually to make sure they stay healthy. You’re free to visit any licensed veterinarian, anywhere in the world—even specialists and emergency providers. Nationwide Policyholders also have access to the vet helpline – a 24/7 hotline offered at no cost that provides guidance on general pet concerns and identifying urgent pet care needs. Nationwide pet insurance also provides a variety of resources online, from a comprehensive pet buying guide to detailed articles on common pet conditions. Their business hours are Monday-Friday from 5am-7pm PT, and Saturday’s from 7am-3:30pm PT. You can cancel your policy any time and they will reimburse you on the unused premium. Make sure to go to their site, Nationwide Pet Insurance and get a quote to see if they are the right pet insurance company for you. You can also call them at: 1-877-263-6008. Have all your questions prepared and make sure to ask them about their Wellness program to. It’s a nice addition when purchasing a pet insurance policy. Make sure to take a look at our comprehensive guide on pet insurance to answer all your pet insurance questions!